Completed 1966 as Donacilla for STUK. 1976 to Thai Ocean Transport as Mena (managed by STUK). 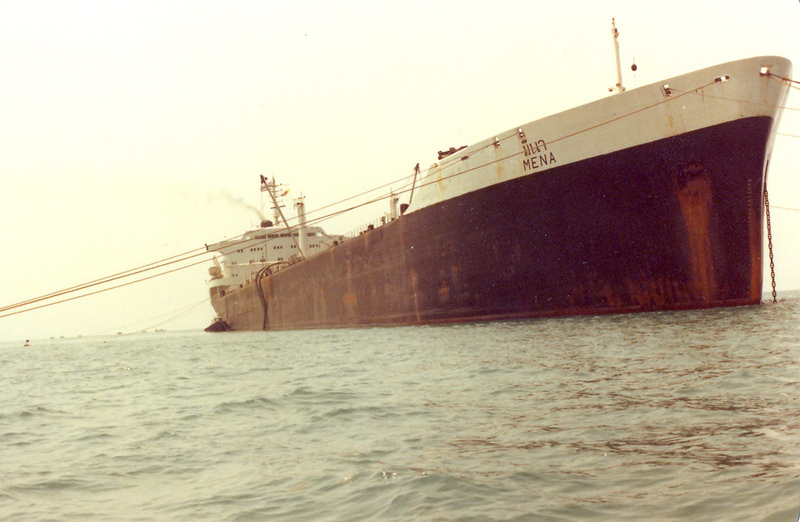 26-11-1985 arrived Rayong for scrap. Joined Pataya Thailand in Oct(?) 1981. Lifeboats had just been robbed by locals of all drugs. Sailed for Gulf, ran aground entering Mombassa with pilot aboard, came off on the next tide. Movac never worked so never enough fresh water. Every unit on engine pulled over 6 months or so, several days adrift on one occasion. Boiler feed pump blew up Christmas day 19080, unfortunately Shell had replacement waiting in Sydney when we docked New Year's Day, so no shore leave for the enginneers. Ship was a wreck but the most fun of all my brief sea time. Paid off Singapore Feb 1981. Anyone who sailed the same time will remember Captain who had his wife on board, and Purser, who was tea toatal, who decided to stock up on Tusker Beer in Mombassa. The rule was, drink a Tusker before yu could have a Tiger. 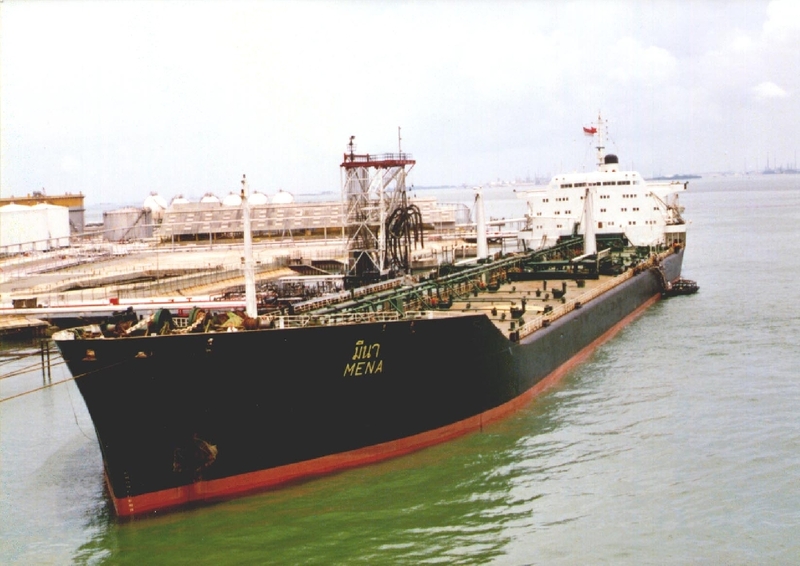 Have you sailed on Mena? Log in and add yourself as a sailor to the Mena! Log in and add your personal story to the Mena!